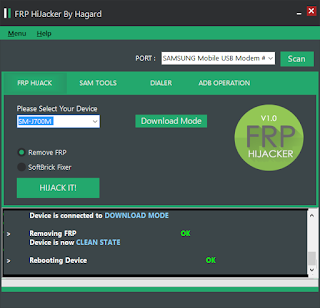 In this post, we have shared the latest setup of Samsung FRP helper and free download links are available for download. Basically, the latest setup consist on one RAR file so you will need to download it by connecting your PC with internet connection. It can support for several OS. It doesn't required to update adtional features of any PC. It required 1GB hard drive and 64MB RAM. If you are facing trouble during download or installation, feel free to contact us via commenting. We will help you very soon if possible for us.